Pods oblong to linear, few- to many-seeded, ± woody, dehiscent or rarely (not in East Africa) indehiscent. Trees or shrubs, seldom scandent or climbing, without tendrils, but branch tips sometimes coiling. 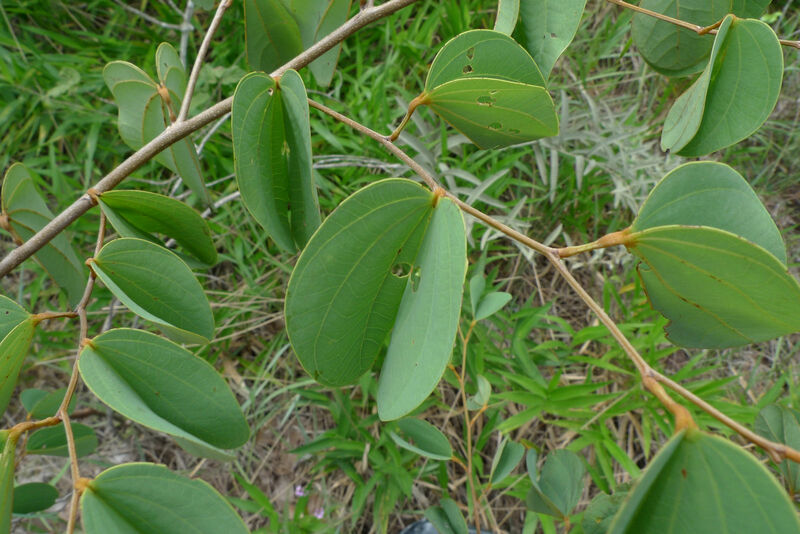 Leaves bilobed or occasionally divided to the base, palmately nerved; stipules deciduous. 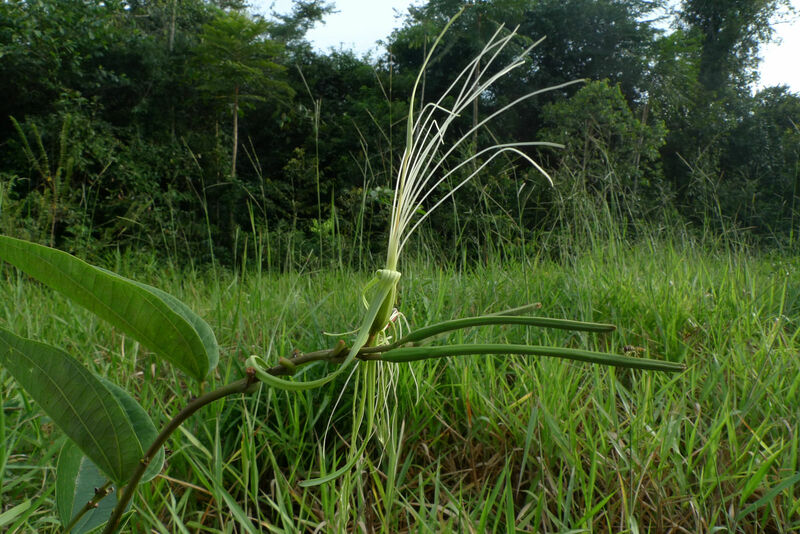 Flowers in racemes or solitary, usually large and showy, bisexual, zygomorphic. Calyx spathaceous (the sepals ± cohering after the calyx has opened) above a variably developed hypanthium. 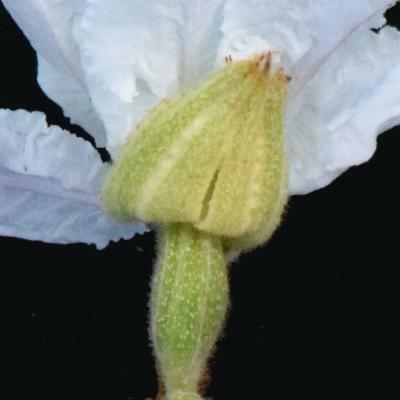 Stamens 1–10, sometimes accompanied by staminodes, free; anthers opening by longitudinal slits. 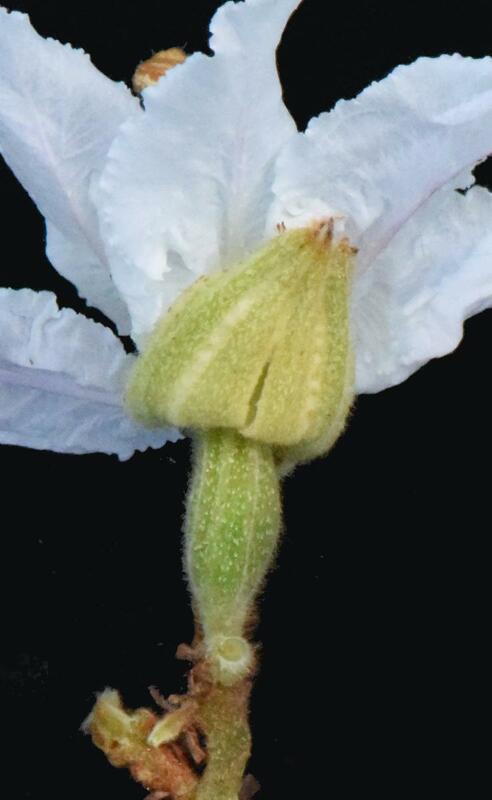 Ovary usually stipitate; style elongate; stigma capitate or small, sometimes unilateral. 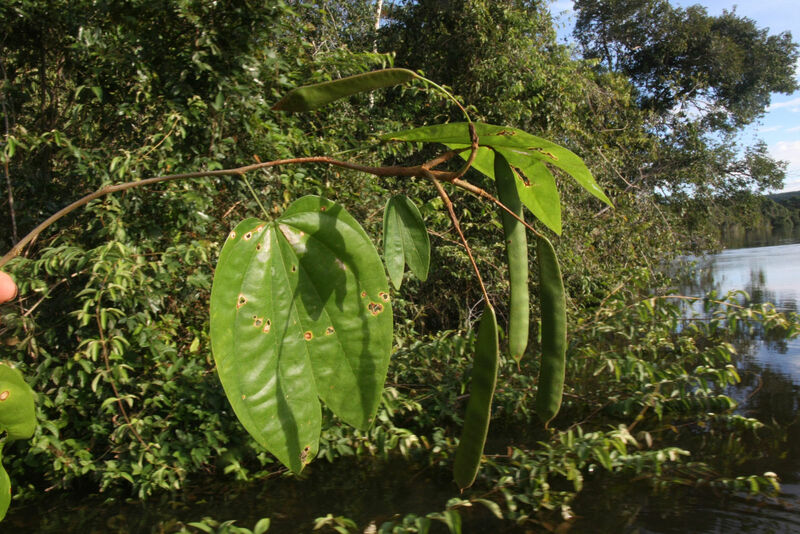 Pods linear-oblong to strap-shaped or broadened upwards, ± woody, dehiscent or elsewhere occasionally indehiscent, few- to many-seeded. Seeds ± compressed; hilum circular or crescent-shaped, with a U-shaped to hairpin-shaped scar of 2 aril lobes developed from the funicle. Seasonally dry tropical bushland, woodland, wooded grassland (savanna and cerrado), thorn scrub (including caatinga) and coastal forest; several on sand or limestone; less than 20 spp. in wet habitats, infrequently in evergreen humid forest and rain forest; c. 15 in montane and submontane areas with B. brachycarpa being reported at elevations of up to 3200m in China. 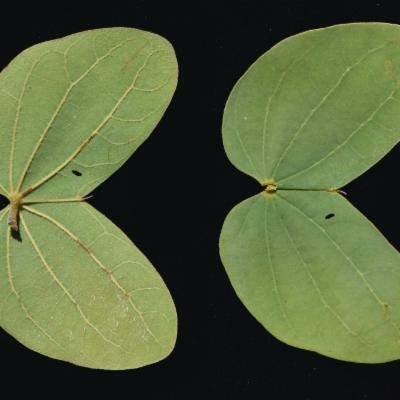 Bauhinia ungulata (Ramirez et al., 1984), B. pauletia (Heithaus et al., 1974, Hokche & Ramirez, 1990) & B. multinervia (Hokche & Ramirez, 1990) have all been shown to be pollinated by bats. 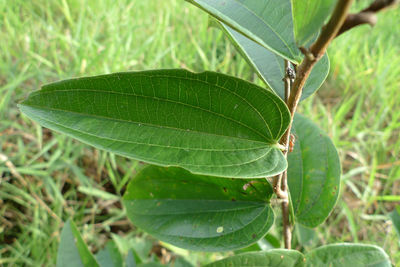 A pantropical genus. Sect. Pauletia c. 78 species in tropical America; sect. 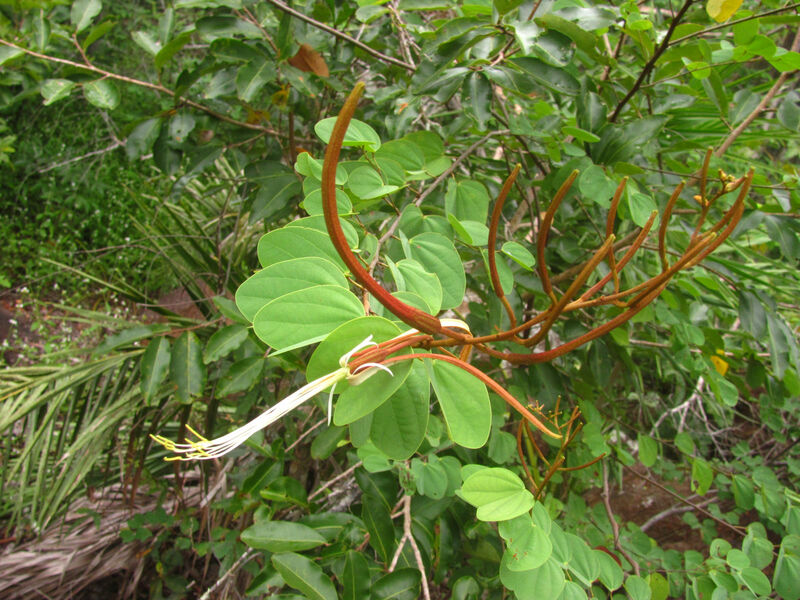 Bauhinia c. 20 from Mexico to Northeast Brazil; sect. Amaria 18 from N South America to Mexico; sect. Alvesia c. 7 in southern Africa, S Asia, S China and Malesia; sect. 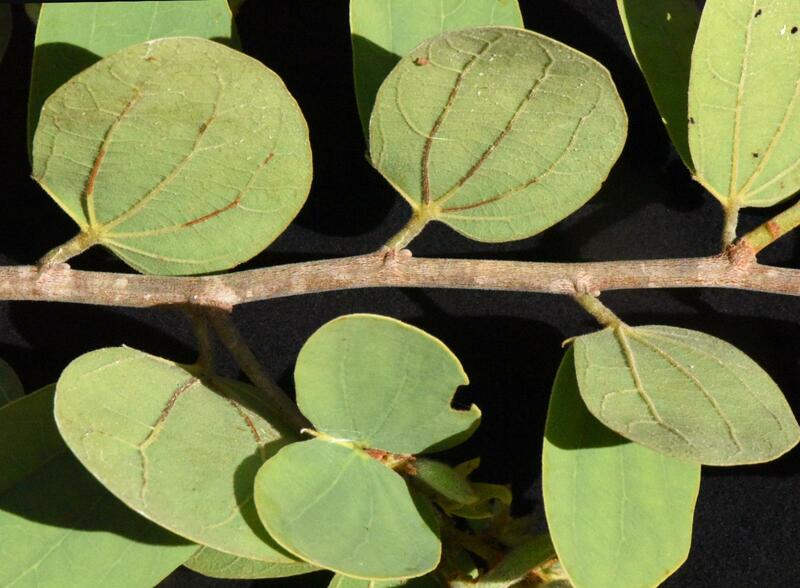 Micralvesia 9 in Africa, S Asia, S China and Malesia; sect. Telestria 5 in S Asia, S China and Malesia; sect. 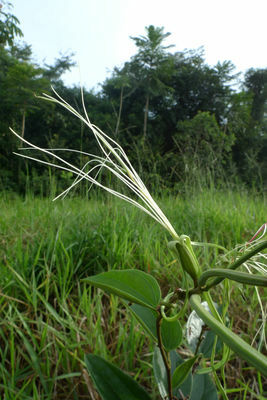 Pseudophanera 1 in S Asia and Malesia; sect. 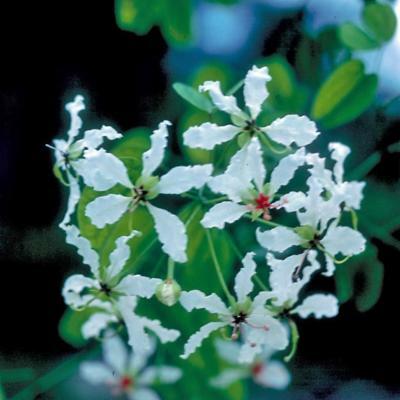 Afrobauhinia c. 20 in southern Africa and Madagascar; sect Semla 2 in S Asia; sect Pseudobauhinia 1 in China; sect Benthamia 2 from Brazil to Argentina. In the neotropics, Brazil Southwest is the most diverse region (37 taxa). In Asia and Australasia, the most taxon rich country is Thailand, in Africa Madagascar, both accommodating 16 taxa. Bauhinia in its broadest sense has been divided by various authors into as many as 26 segregate genera (Wunderlin, 1976). Wunderlin et al. (1981, 1987) took a broad view of the genus and placed in synonymy all of the segregate genera recognised by De Wit (1956). 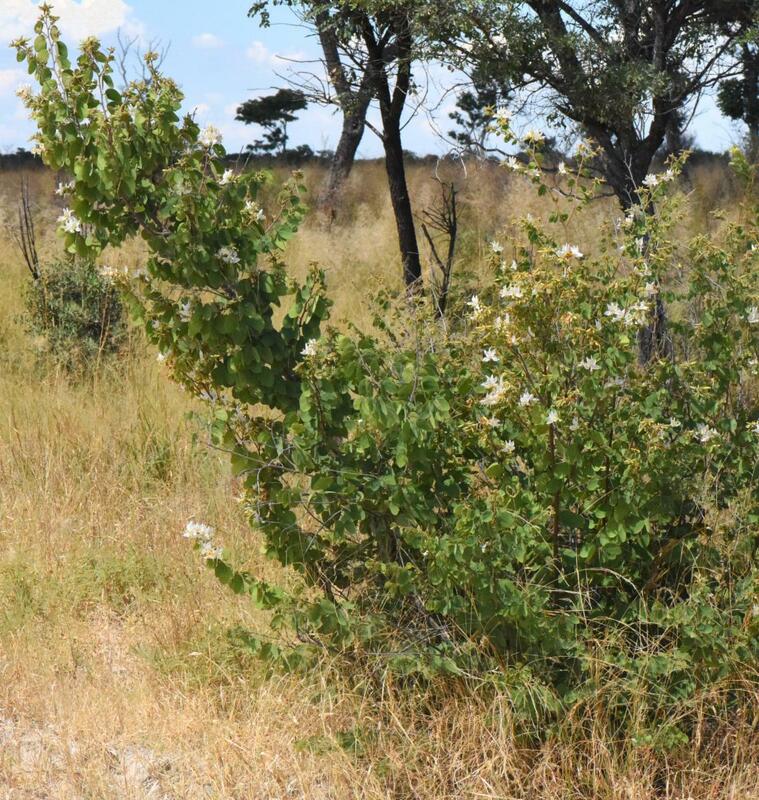 Most recent African Floras have adopted a less inclusive approach, which is followed here. 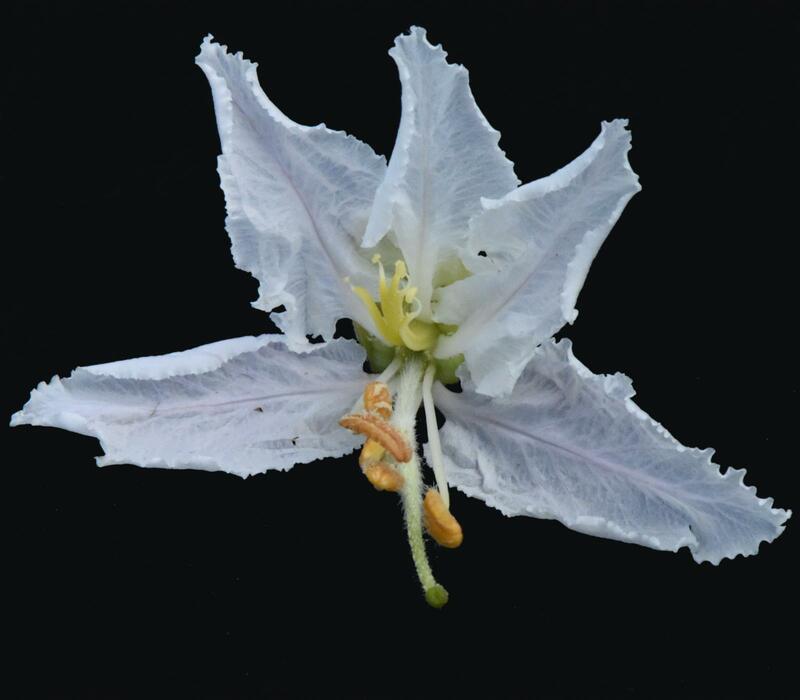 Bauhinia subgenus Bauhinia was divided into 9 sections, 2 subsections and 19 series by Wunderlin et al. (1987), but section Gigasiphon is here considered as a separate genus. 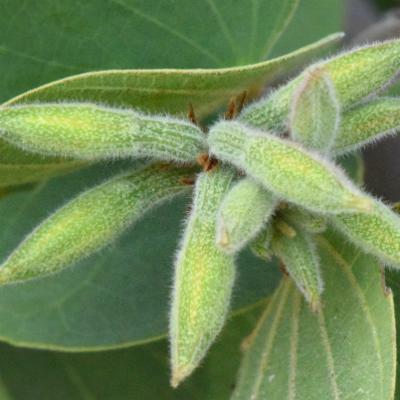 Phylogenetic analysis of the plastid trnL-trnF region by Sinou et al. 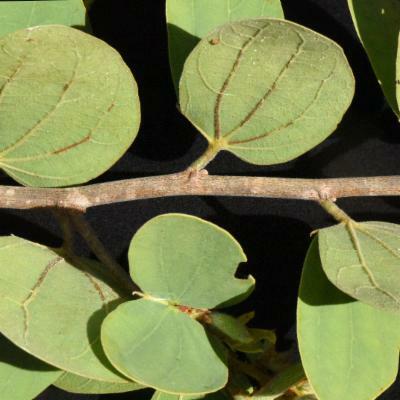 (2009) indicated that of the 8 sections of Bauhinia described by Wunderlin et al. (1987) only Amaria, Bauhinia & Alvesia are monophyletic. The analysis also indicated that sect. 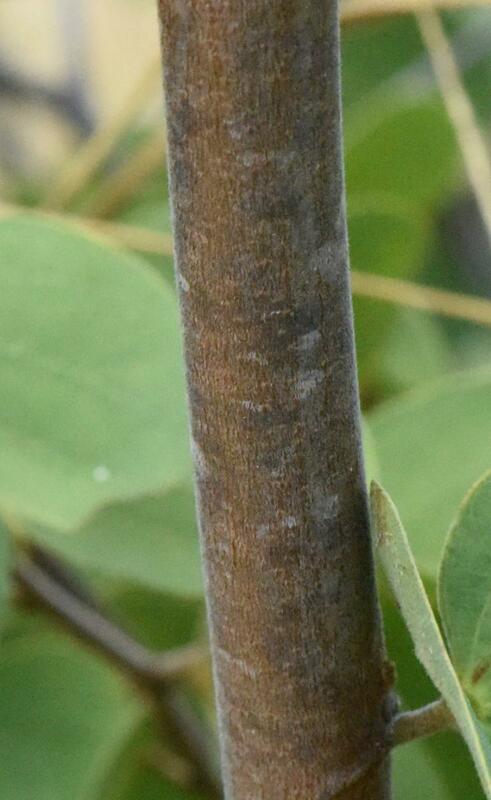 Pseudobauhinia is nested within Bauhinia s.s. rather than Phanera, where it was placed by Wunderlin et al. (1987). 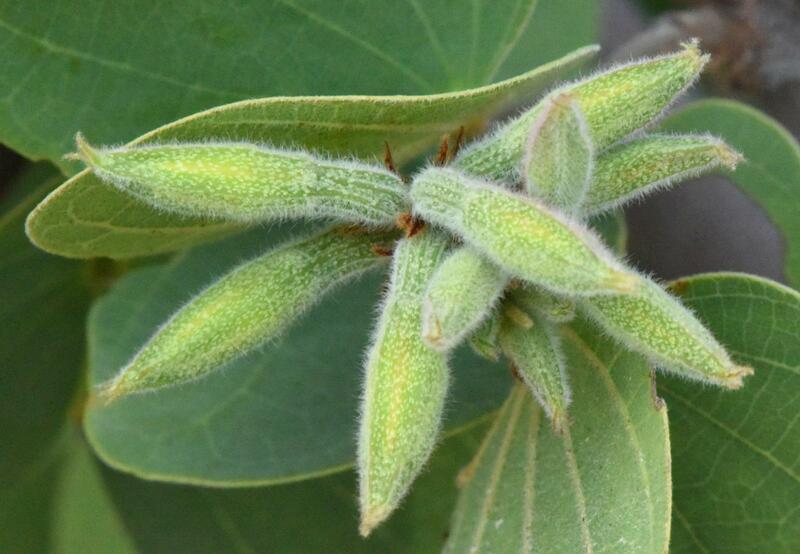 We here follow this arrangement, as B. bohniana, the single species in sect. 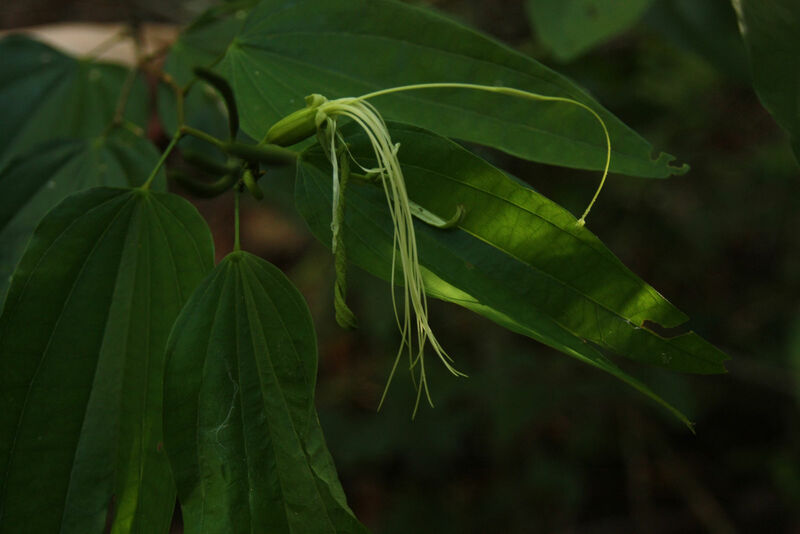 Pseudophanera, is a shrub without tendrils whereas species within Phanera are lianas with tendrils. We have also included section Semla here rather than within Lasiobema on the same morphological grounds. 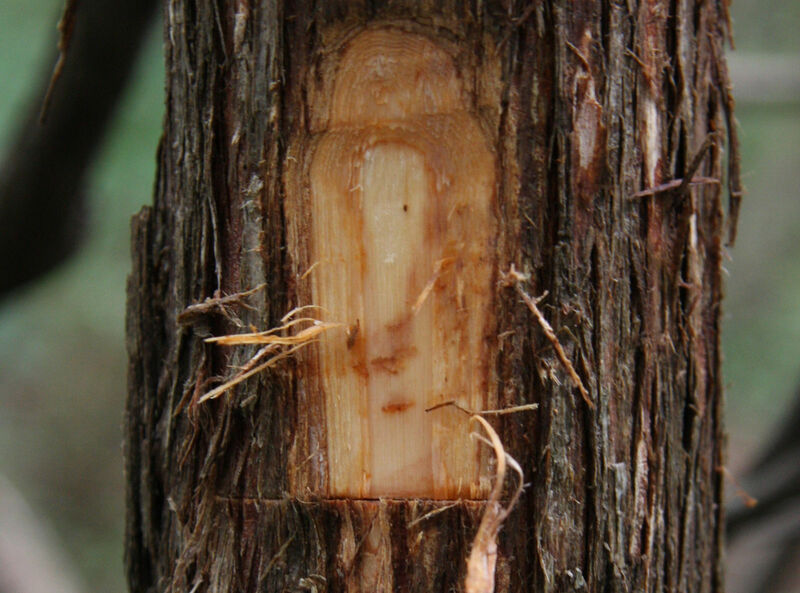 Palynological studies by Banks et al. 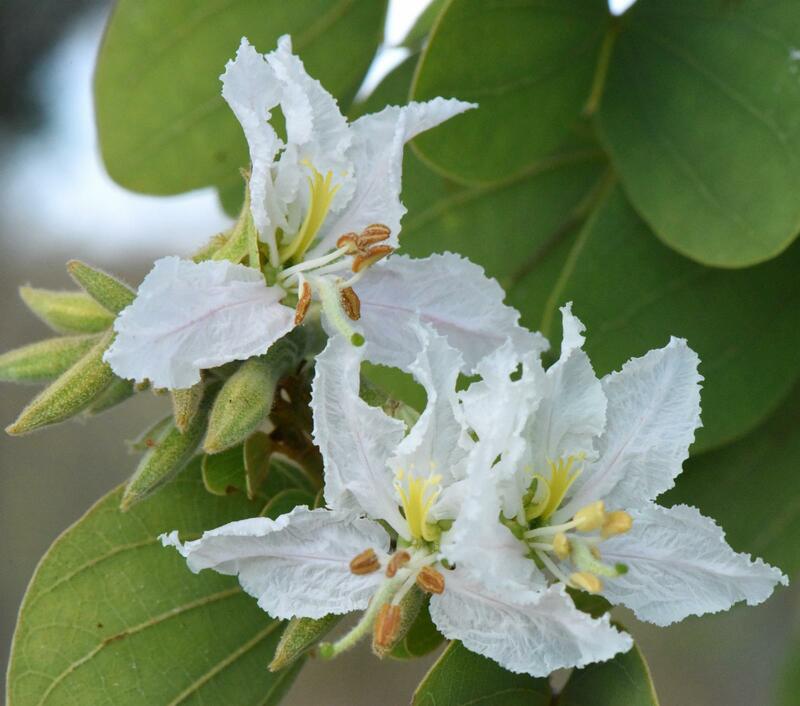 (2014) indicate that sections Pseudobauhinia, Afrobauhinia, Alvesia & Amaria each have a single distinct pollen type, whereas in each of the sections Pauletia, Telestria and Bauhinia there are 2 distinct pollen types. 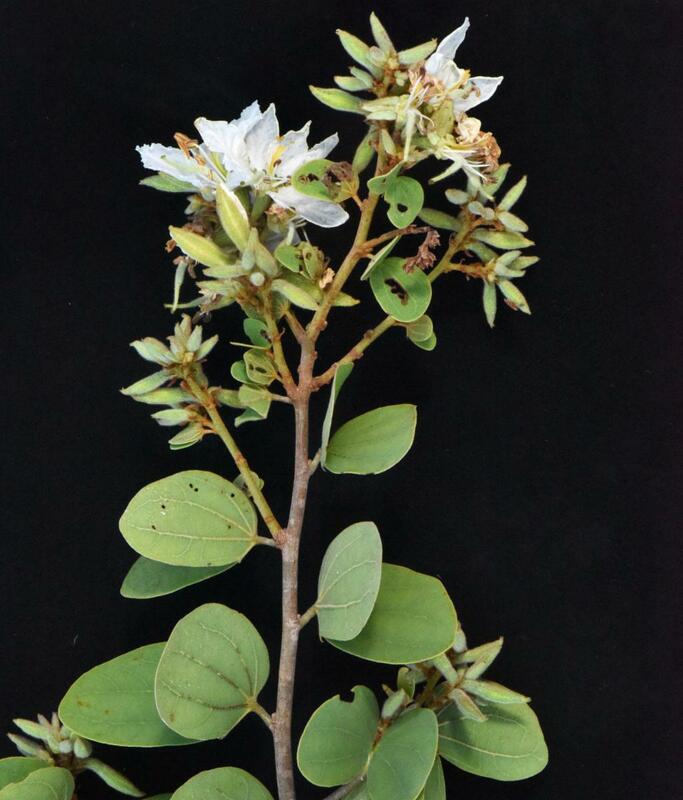 Some of the neotropical taxa included here in Bauhinia s.s. may later be proven to belong to segregate genera, but we await further evidence in the form of a comprehensive phylogenetic analysis of the whole genus to complement the numerous regional morphological studies. The leaves of B. hirsuta are used as a scabies treatment; a maceration of the leaves of B. jenningsii var. 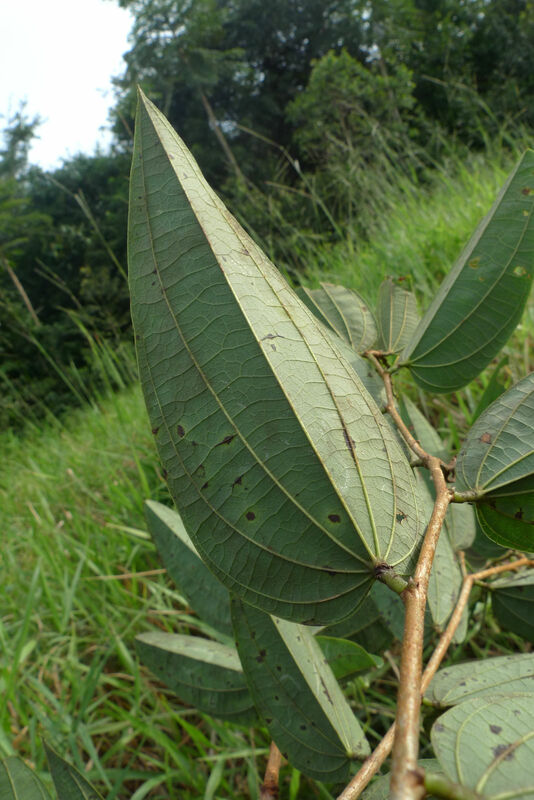 jenningsii is used to treat gastroenteritis, the young seeds of which are edible; the root of B. macrantha used to treat diarrhoea, the seeds of which are used as a coffee substitute, and the pods are edible; B. pottsii var. subsessilis leaves are used for cigarette papers; B. purpurea yields tannin; B. rufescens is browsed by livestock and is said in Senegal to have magical properties that promote the millet harvest and protect the house from snakes; B. tomentosa yields a yellow dye and in Java is utilised to make the handles of ceremonial daggers; B. variegata is browsed by livestock. C.11 species used as ornamental shrubs and trees of streets, parks and gardens throughout the tropics. Bauhinia calycina Pierre ex Gagnep. 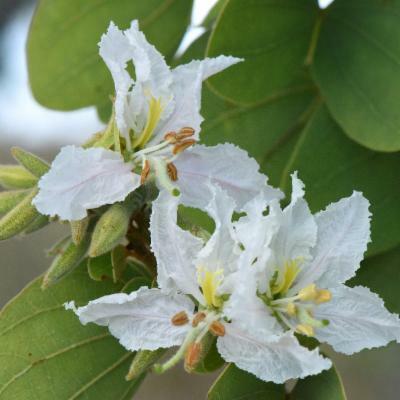 Bauhinia darainensis Thulin & Nusb. Bauhinia diptera Blume ex Miq. Bauhinia integerrima Mart. ex Benth. 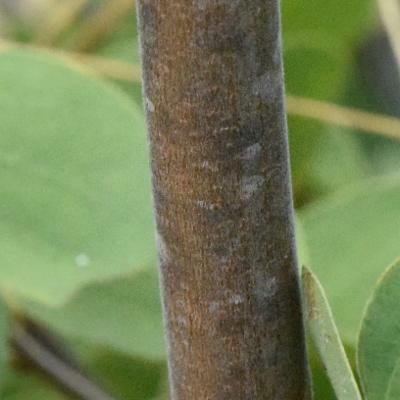 Bauhinia longicuspis Spruce ex Benth. Bauhinia lorantha Pierre ex Gagnep. Bauhinia macranthera Benth. ex Hemsl. 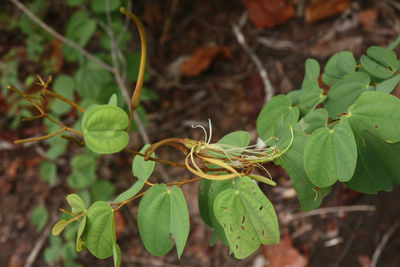 Bauhinia pentandra (Bong.) Vogel ex D.Dietr. 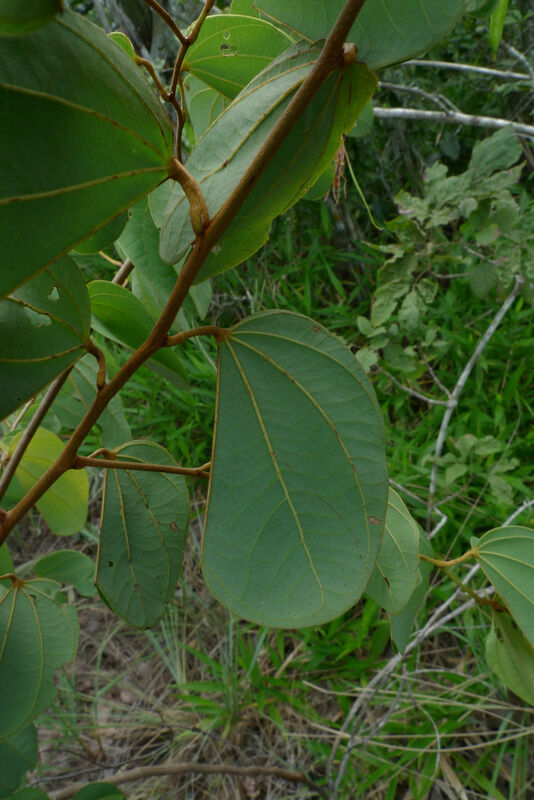 Bauhinia petiolata (Mutis ex DC.) Triana ex Hook. 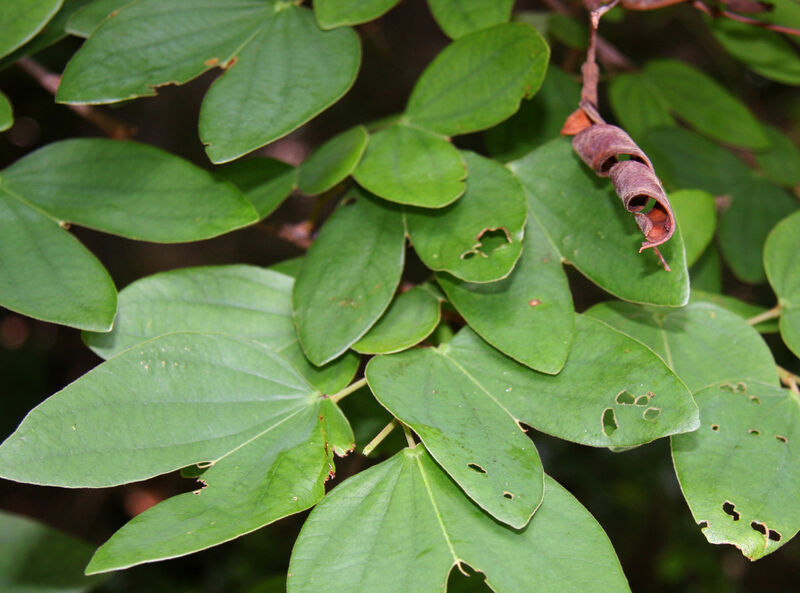 Bauhinia platypetala Burch. ex Benth. 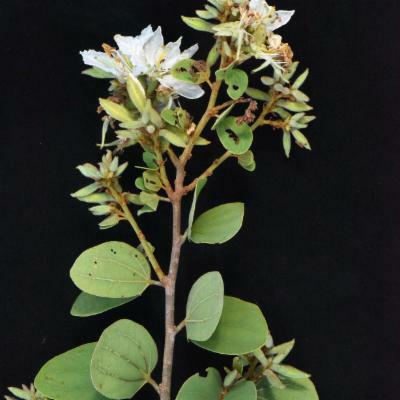 Bauhinia ramosissima Benth. ex Hemsl. 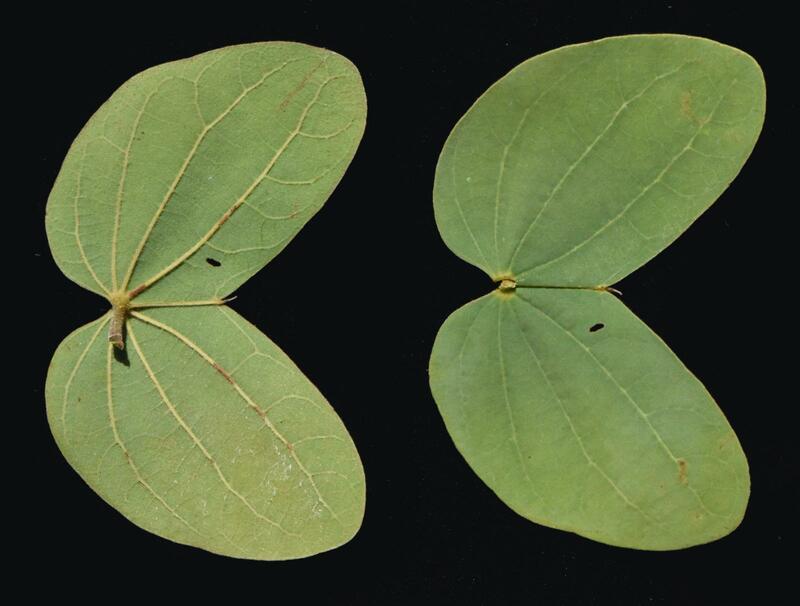 Bauhinia riparia Splitg. ex Kleinh. 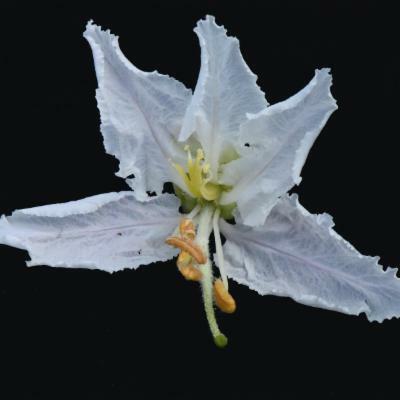 Bauhinia saigonensis Pierre ex Gagnep. Bauhinia smilacifolia Burch. ex Benth. 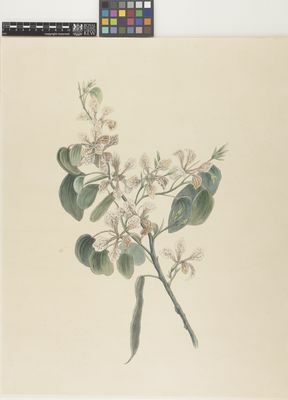 Bauhinia viorna Standl. ex J.F.Macbr. Studart da Fonseca Vaz, A.M. (2011). 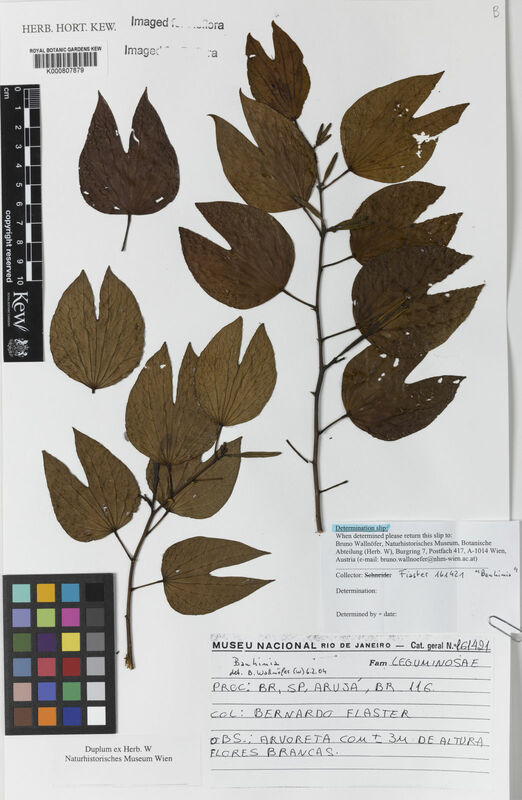 Typification of names of taxa of Bauhinia L. (Leguminosae: Cercideae) from Brazil Taxon 60: 1464-1474. Torres-Colín, R., Duno de Stefano, R. & Lorena Can, L. (2009). 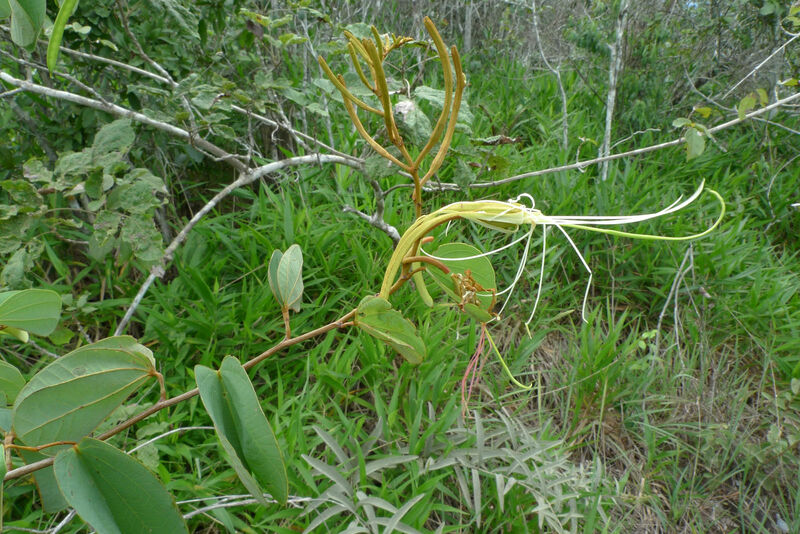 El género Bauhinia (Fabaceae, Caesalpinioideae, Cercideae) en la península de Yucatán (México, Belice y Guatemala) Revista Mexicana de Biodiversidad 80: 293-301. De Wit in Reinwardtia 3: 386, 390 (1956). Gen. Pl., ed. 5: 177 (1754).